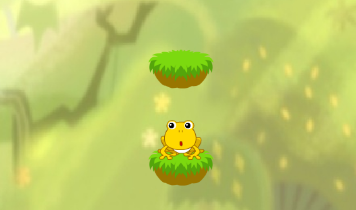 Frog Jump is a timing game about a little frog's adventures. All of you need — jump at the right moment. It is not so easy because the platforms are always moving. So just concentrate, take a deep breath and go up. Jump as high as possible and set a new record. But do not forget — you have only three lives before the game will over. Play Frog Jump for free and enjoy! Click or Tap to jump.